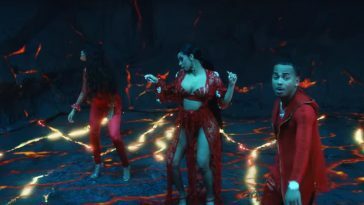 “Taki Taki” continues its reign as the world’s most-watched music video. 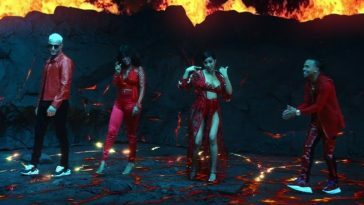 The music video for DJ Snake’s “Taki Taki (featuring Selena Gomez, Cardi B & Ozuna)” remains a behemoth on YouTube. Credited with 64.1 million global views for the November 18-24 tracking period, “Taki Taki” celebrates a sixth week as the world’s most-watched music video. Up two places, Maroon 5’s “Girls Like You (featuring Cardi B)” moves into #2 on the global music videos chart. The popular clip received another 40.4 million views this week. Bad Bunny’s “Mia (featuring Drake)” slips one spot to #3 with 39.2 million views, while a view count of 26.7 million keeps JENNIE’s “SOLO” at #4. T-Series’ video for “Nikkle Currant,” which credits Jassi Gill, Neha Kakkar, Sukh-E, and Jaani, rises four places to #5 with 25.2 million views.